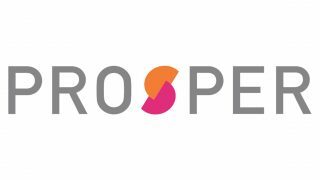 Prosper is one of the pioneers of peer-to-peer, or marketplace, lending, which connects good-credit borrowers with investors who can choose to fund their loans. Have good to excellent credit scores. Prosper’s minimum score is 640, but its customers average 710. Have substantial annual income. There’s no minimum requirement, but the average for Prosper borrowers is about $89,000. Want a personal loan from an experienced online lender. San Francisco-based Prosper was founded in 2005 and has facilitated more than $12 billion in loans. Origination fee: 2.4% - 5%. Late fee: $15 or 5% of unpaid amount (whichever is greater). Minimum credit score: 640, but average is 710. Minimum credit history: Two years, but average is 11. Minimum annual income: None, but average is $89,000. Maximum debt-to-income ratio: 50% (excluding mortgage). Click "Check rates" to get started with Prosper. To review Prosper, NerdWallet collected more than 30 data points from the lender, interviewed company executives and compared the lender with others that seek the same customer or offer a similar personal loan product. Loan terms and fees may vary by state. Prosper provides unsecured personal loans that can be used for nearly any purpose, including debt consolidation and home improvements. To qualify applicants, Prosper says it uses a proprietary risk-rating system that takes into account hundreds of data points, including credit history. Prosper’s ratings are used by investors to decide whether or not to fund your loan. Your application expires if your loan request isn’t funded. Fees: Prosper charges an origination fee between 2.4% and 5% of the loan amount, which is deducted from the loan proceeds. The loan also carries a $15 late fee, and you’ll be charged a similar amount if you don’t have enough money in your account for a payment. Payment options : Unlike some lenders, Prosper doesn’t allow you to adjust your payment schedule, nor does it directly pay your creditors if you’re consolidating debt. Loan example: For a borrower with excellent credit, a $10,000 personal loan with a repayment term of three years at 13.9% APR would carry monthly payments of $341, according to NerdWallet’s personal loan calculator. Compared to Prosper, LendingClub has slightly more flexible loan terms and a lower minimum loan amount. It lets borrowers file joint loan applications and offers a payment modification plan when borrowers have trouble making payments. SoFi offers similar rates, but its “members” also receive social perks like networking and educational opportunities, more flexible payment options, no late fees and unemployment protection. SoFi also offers higher maximum loan amounts up to $100,000. You can apply directly on Prosper’s website, submitting information including your employment status, income and monthly housing payment. Once approved, Prosper says funds will be transferred to your bank account within one to three business days.